Hotel spaces fill up fast for Inti Raymi 2019. Reserve your tour as soon as possible! Experience the splendor and magic of Inti Raymi tour 2019, the Inca Sun Festival, as well as visiting Cuzco, the Sacred Valley, Machu Picchu and the capital city of Lima. June 22: Arrive Lima. City tour today or upon your return. June 23: Flight to Cuzco. City and ruins tour. June 24: Inti Raymi tour 2019 festivities. June 25: Sacred Valley tour – Pisac and Ollantaytambo. 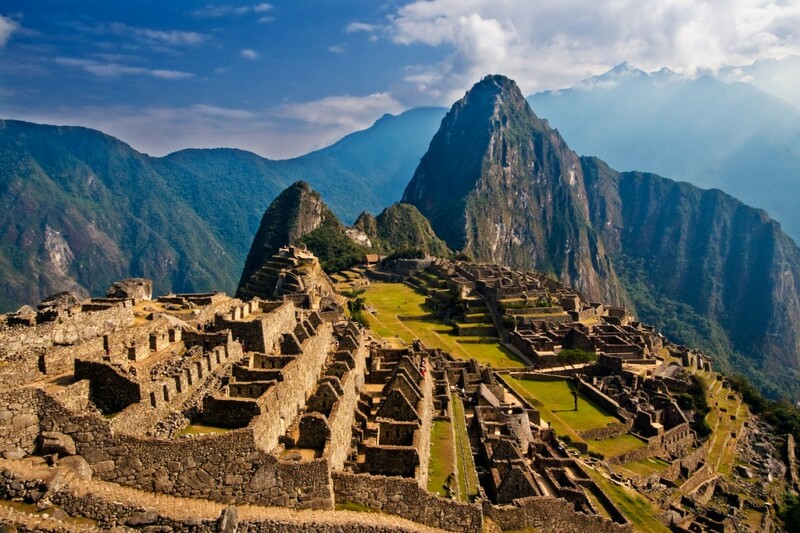 June 26: Machu Picchu tour, then free time at the site. June 27: Morning flight to Lima. International flights may depart any time after 2pm. Arrive in Lima anytime today and transfer to your hotel. If arriving during the day, your hotel will be in the neighborhood of Miraflores, with good artesan markets and restaurants, and you’ll have an included city tour in the afternoon. The city tour lets you explore the wonders of the colonial capital, you visit the famous Plaza de Armas, as well as the impressive Cathedral in the Plaza and the beautiful San Francisco church. You also get a chance to take in some beautiful views of the coast at Parque de Amor. A short flight this morning brings us to the famous Inca city of Cuzco. After checking into your hotel, we set out to explore the incredible capital of the Inca Empire. We head to the picturesque Plaza de Armas to the cathedral to see the colonial influence in the city, and we can admire the stunning architecture of the church and also the native influences subtly woven in into the artwork. Onwards to Qoricancha church, where the colonial and Incan architectures are on display side-by-side directly contrasted with each other. Afterwards we make our way above the city to the imposing fortress of Sacsaywaman where we can marvel at the incredible stonework and architecture of the Inca civilization. We head back to Cuzco in the late afternoon. 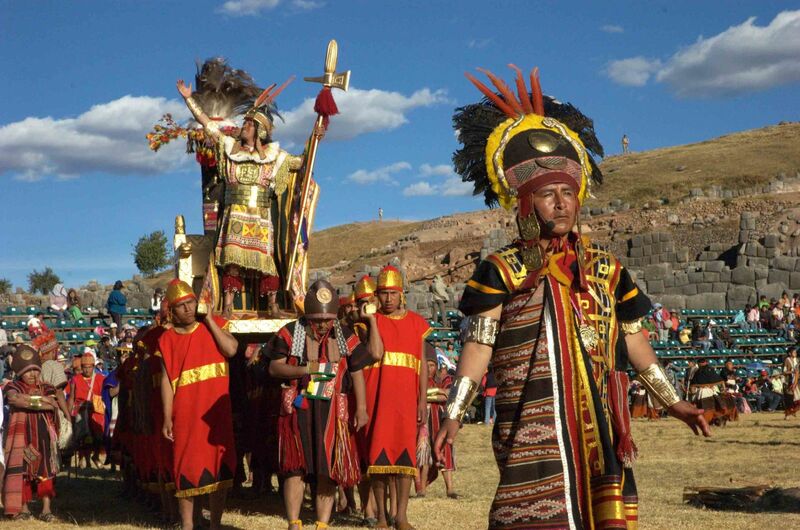 It’s a full day of ceremony and pageant as the city of Cuzco goes all out to celebrate Inti Raymi tour 2019, the festival of the sun, the Incas most important day of the year. First we’ll watch the festivities in the main square, and then head up to Sacsayhuaman for the main ceremony and rituals in honor of the sun god Inti. You will be with your experienced guide who will talk you through the ceremony so you get an intimate understanding of what is going on. Don’t worry when you are there though, they’re not really sacrificing llamas up on the platform! In the evening you may enjoy the colorful dances and processions from a restaurant balcony or a park bench. This morning we’re off to the Sacred Valley, a short and scenic ride from Cuzco. Fifteen hundred feet lower than Cuzco, the warm and fertile Sacred Valley was of immense strategic and agricultural importance to the Incas. We’ll visit two sites today: Pisac and Ollantaytambo. Pisac is a beautiful Andean town with a great handicrafts market. After browsing at artisan markets and bargaining for Andean goods (optional), we’ll head up to the imposing Inca fortress/temple above the town. Then in the early afternoon, we’ll head down the valley to Ollantaytambo, the only Inca village still inhabited today. Peer through ancient, trapezoidal doorways into courtyards where life has changed little in 500 years, then explore the huge ruins which loom above the town. Train ride down the down the Urubamba Valley to Machu Picchu. Overnight in Aguas Calientes below Machu Picchu tonight. Morning flight to Lima. If time permits we can arrange a transfer into Lima to have dinner at one of Lima´s many fine restaurants. Lima is the culinary capitol of South America. International flights may depart any time after 2pm. Inti Raymi tour 2019 is a six-day tour which includes walking in various ruins and on city tours. As always, a certain patience is required for the inconsistencies and delays of developing-world travel. Add extra activities such as river rafting, horseback riding, mountain biking, hiking, climbing, surfing, and free days to your custom itinerary. Ask about these options and we’d be happy to add them to your quote. If you have any special requests or interests like birding, cooking or crafting that you would like to explore please let us know! It is best to bring from home such items as prescription medications, eyewear and care unusual film and camera batteries. Please make sure to bring all used batteries back home to recycle! Cuzco and the Sacred Valley: days are warm if sunny, chilly if cloudy or if you are in the shade. Nights are cold in Cuzco. Remember the Inti Raymi tour 2019 is the winter solstice celebration. Machu Picchu: similar to Cuzco but a bit warmer with a chance of light rain. Lima: warm days, cool evenings, almost never any rain.